Have you ever noticed that whenever you focus on something, somehow the universe mirrors it back to you? We spoke Monday about knowing your truth. 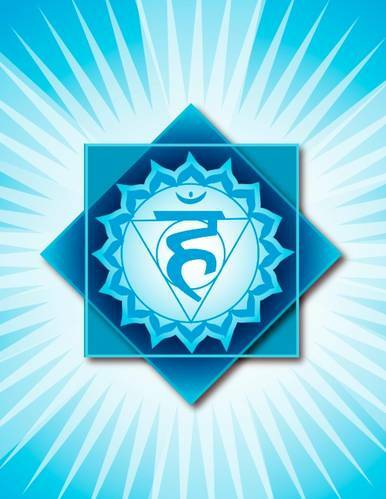 The next evening at my power yoga class, the flow was focused on the “throat chakra” or the center of truth. Chakra is the Sanskrit word for “wheel”, and it is part of the energy force that lives within our bodies and spirit. There are seven chakras, or channels that affect the body functions through our consciousness and awareness. They are like pumps or valves that transmit energy throughout our body. How can you express your truth today? 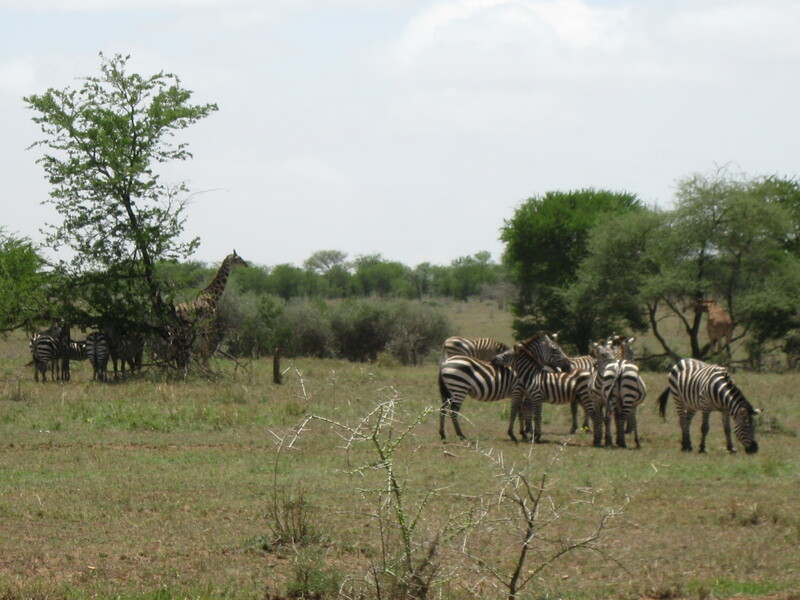 No other place in the world has brought me such a feeling of closeness to life and the earth as when I was in Africa. There was a feeling of connectedness to land and life in its beginnings. It was the simplicity with which all creatures lived their lives. 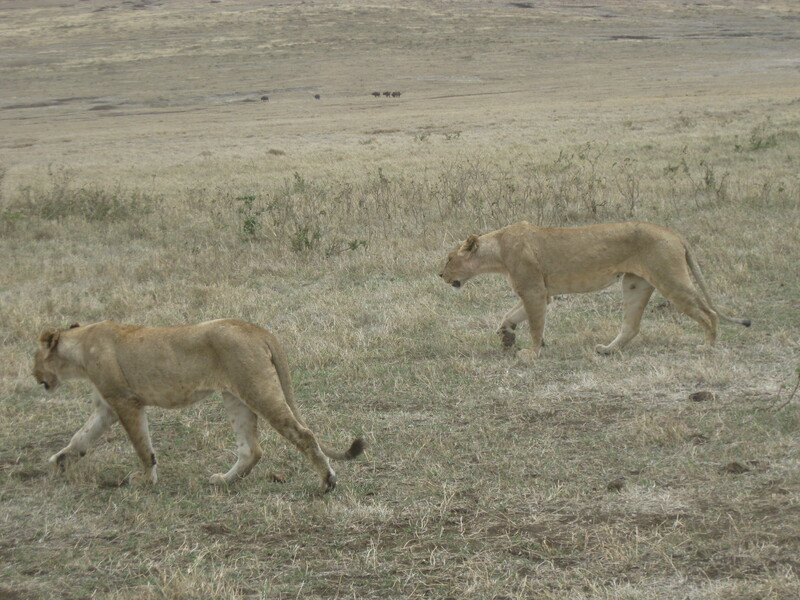 Being on safari, I learned a few lessons from several of the animals. *Click on the pictures to obtain larger images. 1. Zebra. I remember a pair of lions that were crouching in the grassy brush, plotting an attack on a herd of zebra. They each scoped out a different direction. I had to put my camera down and trade it for my binoculars to observe this rare opportunity. To the dismay of the lions, the intuitiveness of one of the zebra pulled the herd in another direction and they all ran off. There was no way for the zebra to actually see the lions from where he stood. He just sensed it as I saw his ears twitch, his body contract and his face become more alert. The lesson: Don’t discount the power of your intuition. Sometimes, that is the only guidance you receive to make a smart decision. 2. Lion. Though the example above showed how intuition can help guide one species, it shows the perseverence of another. I doubt the pair of lions decided after that defeat to give up hunting. Once again, it is survival of the fittest. They must continue to try again in order to live. The lesson: Success only comes from perseverence. Failures are the catalyst, or the fuel, that we can use to our advantage if we choose. 3. Cheetah. 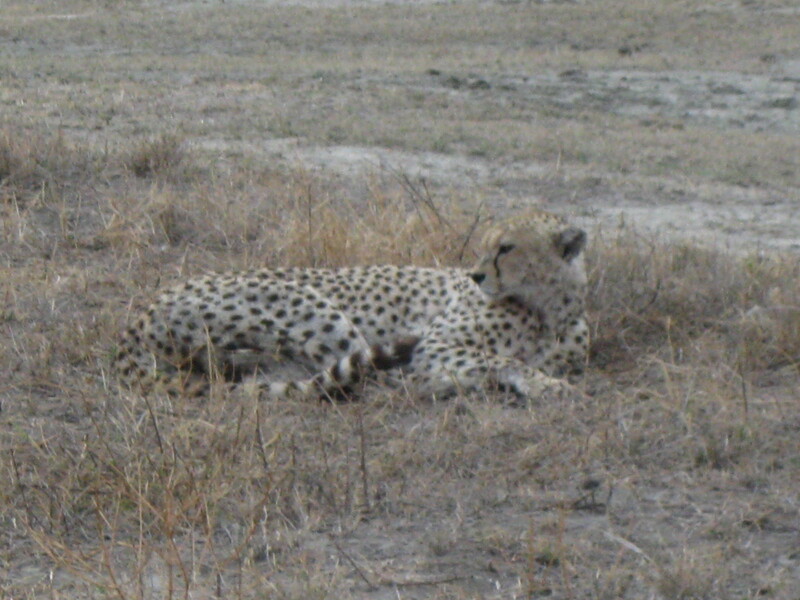 The cheetah is a solitary animal, meaning it hunts and gathers on its own. Though it is one of the fastest animals, it is also the most vulnerable. If it gets sick or injured, it will likely starve to death. The lesson: You may think you can fly solo in life, but allowing others to lend a helping hand on your journey can make the flight smoother. 4. Elephant. 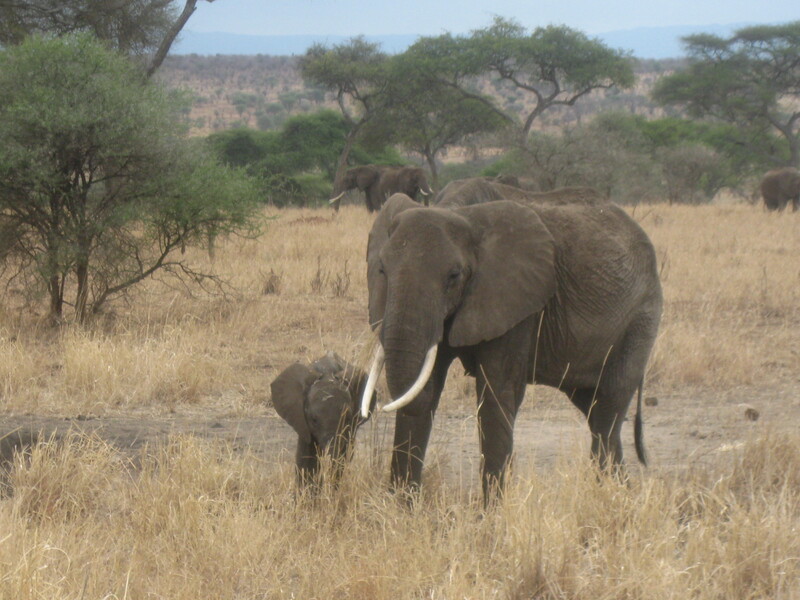 The African elephant is the largest land mammal in the world. When I looked into the eyes of these soulful creatures, I saw peace. They are herbivores and pretty much stay out of the way of other animals. And because of their size, they are rarely preyed upon. Despite weighing between 6-7 tons, they walk quietly and are not aggresive animals. The lesson: No matter how powerful you are (literally or figuratively), true respect is earned through humility. 5. Leopard. 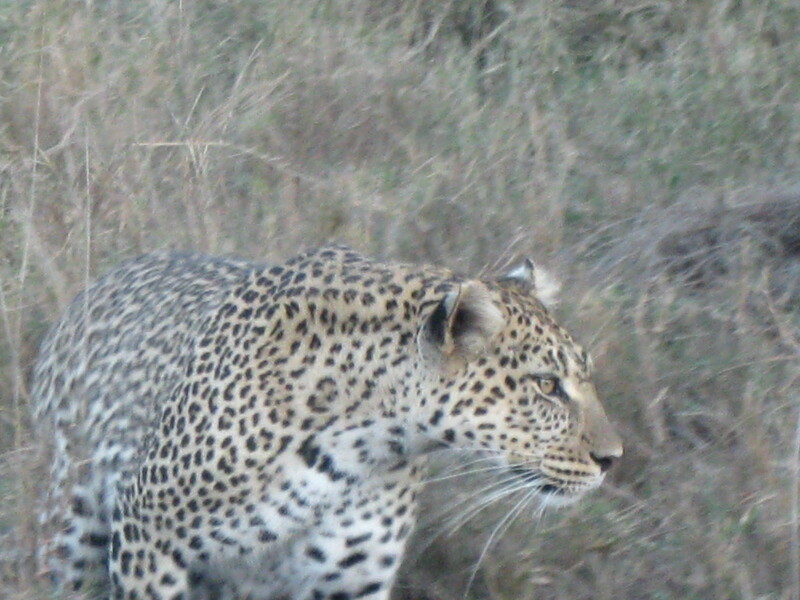 We were lucky to see leopards on our safari, as they are usually camouflauged in trees in a distance. They use trees to their advantage, as they are able to see an aerial view of the surroundings below. They can take inventory and decide when to make a move. The lesson: Have a vision, do the research, and then act. Your life depends on it. I think animals have a lot to teach us. So many of our wellness concepts are interwoven in them. We may be more advanced from an evolutionary perspective, but sometimes there is much to learn from our primal predecessors. We spoke yesterday about re-creating our dreams, or the mental images we hold in our minds. In order to get what we want out of life, we have to have a roadmap. The problem for many of us is that the map is not clear enough. As we think about where we envision ourselves in our lives, oftentimes there is a mini-movie that runs through our heads. Some of these movies are blurry and on mute. Others depict a clear picture, with high volume. The question is, “how can we sustain and attain the clear pictures?” I came up with a few tactics that have worked for me and others I know. 1. Be very clear in what you want and where you see yourself. I think it helps to write it down. I suggested in a previous post to write out 30 things you want to be, do, and have – an exercise I learned from Jack Canfield’s book, The Success Principles. It’s a great exercise and forces you to become absolutely clear in what you want in each facet of your life. 2. Develop daily affirmations or mantras. You can infuse the things you wrote down above into your mind by affirming them in the present moment. For example, if you want to run your first marathon and are beginning to train, you can say to yourself, “I am feeling healthy and alive as I cross the finish line of my marathon on January 1, 2012!”. Make it specific and have a timeline. 3. Create a vision board. This is pretty powerful. You can use a cork board and pin pictures of the life you want. Maybe you want to travel to a particular country or envision yourself in a particular type of home. Perhaps, you are longing to spend more time cultivating your hobby – whatever it is, bring your mental images to life by cutting out photos that depict the things you want. 4. Be willing to do the work. Nothing can come your way without your sustained efforts. You have to be willing to work toward your goals diligently. If you’re not motivated to do the work, maybe you need to re-evaluate your vision. This isn’t a bad thing. It allows you to become honest and clear with yourself. 5. Let go. After doing everything you can, you have to let go and trust in the Universe or God – whatever the Higher Power is for you. The way in which your desires eventually manifest may involve many twists and turns. You have to leave room for growth and learning to occur along the way. You may not know all the right steps to take on your journey, but at least take the first step in magnifying your vision. Maybe, like me, you are in the midst of re-creating a new vision for your life. Don’t get hung up on how you will get there. Just stay focused, do what’s in your control, and trust that you are moving closer to vision. The other day I attempted to console a good friend who questioned the next step to take in her life. She had recently come short of passing an exam she needed to pass in order to work in her profession. The reality of the present situation forced her to question her existing vision and life path. Does she continue to work toward achieving her dream profession? Does she take the current circumstance as a sign to take a detour and carve a new path? Does she still feel passion for the profession in the midst of discouragement? It got me thinking about our vision – not just the picture of our immediate stimuli, but the greater vision we hold for ourselves. How do we navigate through the maze of life when the things we envisioned for ourselves do not manifest as we thought and hoped they would? How do we re-create our vision and begin to dream a new dream? Let’s face it, life is full of challenges. Things may not always go as planned, but it is important to have a roadmap. I have always been a big believer in creating dreams or visions for my life. There is no way to achieve the things you desire unless you first create a mental image of it in your mind. I think we all do this to some degree. We do this when we decide on a career path to take, or when we visualize a life partner, or when we imagine our dreamhome. Many times during our journey, we hit roadblocks – you don’t get the job you want, you go through a divorce, you lose your dream home to another buyer. What do you do next? The thing about creating visions is that they can always be re-created. Part of our own roadblock is the attachment we hold to the old vision. It takes a lot of strength to let go and surrender to the idea that another path is not only possible, but it can be greater and more fulfilling than you could have even envisioned for yourself. You may still achieve all that you desire, but it may not be in the way or in the timeframe you thought. Perhaps, during the process, you may discover you have a new desire. Oftentimes, the reality of our situation doesn’t make sense to us. It’s not supposed to. Steve Jobs, in a speech he gave to Stanford University Graduates in 2005, states, “You can’t connect the dots looking forward; you can only connect them looking backwards. So you have to trust that the dots will somehow connect in your future. You have to trust in something — your gut, destiny, life, karma, whatever”. Remember, life doesn’t end when it doesn’t go as planned. The most successful people will tell you that the times in which they felt lost or as though they had failed, were actually the catalyst for creating, or re-creating a better dream and a brighter future. Be willing to take the risk in creating and re-creating! Deepali’s Piece of Wellness: Have you given up on your dreams, because life hasn’t turned out as you expected? Can you start creating a new vision for yourself today? What does it look like? **More tomorrow on how to get clarity on a new vision! As we finish our topic of SPIRIT this week, I thought we’d ponder the two phrases below….. Think about those two phrases above as you start your weekend. Have faith in the power that you harness. 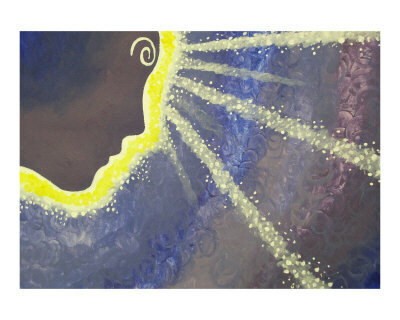 There is a light that radiates and shines through you. This evening, I ventured out to try a new yoga studio. I have been in search of a vinyasa practice that would be a good fit for me. The minute I walked into the studio, I immediately felt a certain energy in the room. The class had not yet begun, but I just knew that this was going to be the place for me. I certainly used my intuitive sixth sense on this, and I was correct. Yoga has been a part of my life, exercising the mind and body, for some time now. As we discuss the topic of SPIRIT this week, I thought about the strong link between spiritual connection, or enlightenment, and yoga. Through yoga practice, we strengthen our spirit by bringing our energy inward, starting with an awareness to our breath. It is the first kriya, or action of our soul. By turning inward, we can access that part of us that connects to something greater – that intuitive energy we discussed, the divine power that resides within us, and our authentic selves. The path to spiritual wellness can take any form. It can involve prayer, meditation, affirmations, and/or any specific belief system you espouse. The important piece is that you find purpose and meaning to the flow of your life. Although yoga is my conduit for this flow, being mindful does not have to come only through yoga. You can easily start your day with an intention, just as we do at the beginning of yoga class. What do you hope to give of yourself today? What answers are you seeking today? Where can you find peace today? When we intend something, we are connecting to that higher power and we are believing in it. We are believing and having unwavering faith that something larger exists within us and for us. I spoke briefly last week about what many deem our “sixth sense”. It is our INTUITION. People call it the “gut sense” – likely because we feel a real visceral response inside our bodies. Our muscles may contract or expand, our stomach may tie itself in knots or release, our hearts may beat faster or slow down. All these responses give us some clue to the answers we may be seeking. Whether it’s picking out what to wear on a given day or deciding whether to buy that home, we do always have some “sense” into what we are feeling in the moment. Oprah devoted last month’s O Magazine to the topic of intuition. She talked about this innate power that is always available to us if we just listen. It was interesting to read that all animals have an intuitive sense and prepare themselves to act on it, accordingly. Humans are the only creatures that, despite hearing, seeing, and “feeling” the signs, actually choose to deny or ignore them. Why is that? I guess because we are conditioned in such a way since birth. We are told what to do, how to act, who to marry, where to live, when to retire, etc. The voices that usually take precedence exist outside of ourselves. So much of how we live is dictated by our need to seek approval from others. We all want to feel validated and worthy, so much that we may forget what is our own truthful path. So, what exactly is this intuitive sense? Call it what you will, but I believe it is our spiritual intelligence. It is God, the Universe, the Divine Spirit – whatever that power is for you. And, I do believe that it always exists in us. I have leaned on it and trusted it a lot in my life. It didn’t always make rational sense to those around me, or for that matter, to myself, but somehow I knew it on a visceral level. There will be those times that you need to tune down the analytical, left side of your brain to give rise to the right, more intuitive side. Believe in your intuitive sense. Believe in your Spirit. Believe that there is something within you that is greater than you can see. Lean on it, trust it and use it to guide you. Deepali’s Piece of Wellness: When making decisions for yourself this week, no matter how small, take a moment to listen to your gut. Can you learn to trust it?